Edinburgh restaurateur, Carina Contini, has been selected to champion Scottish family businesses at the Great British Family Business conference in London on 14th March 2019. 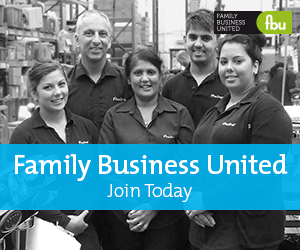 Carina will be one of the keynote speakers at the annual flagship event of Family Business United, the award-winning magazine and advocates for the family business sector. As part of the full day conference, Carina will share her thoughts on the importance of family firms, what makes family firms special and a personal insight on her journey as a Scottish family business owner. In Scotland, SMEs account for 99.3 per cent of all private sector enterprises and 63 per cent of these are family businesses. 100 of the most profitable family-owned companies in Scotland generate a combined £1 billion of pre-tax profits and have a collective annual turnover of £16.6 billion. The sector also employs over 100,000 staff and contributes 11 per cent to Scotland’s onshore gross domestic product (GDP). Carina and her husband, Victor, opened their first restaurant in Edinburgh in 2004. They have since gone on to establish three of Edinburgh’s top restaurants, including Contini George Street, Cannonball Restaurant & Bar on Castlehill and The Scottish Cafe & Restaurant at the Scottish National Gallery. In 2019, Carina and Victor will be celebrating the 100th anniversary of their family’s arrival in Edinburgh from Picinisco in Lazio. Since arriving from Italy in 1919, the family has built up a century of experience running successful food and drink business in Scotland. As third generation Italian Scots, Carina and Victor have been championing independent family businesses in Scotland for over twenty years. Commenting on her role as part of the Great British Family Business Conference, Carina Contini, said: “This is a great opportunity to represent Scotland’s family business sector in front of a UK-wide audience. Family firms are the backbone of the Scottish economy and the sector is a significant employer, revenue generator and contributor." The 2019 Great British Family Business conference is expected to attract over 200 delegates with a line-up of speakers including Edinburgh’s Carina Contini, Chairman of the All Party Parliamentary Group for Family Business at Westminster, John Stevenson, and Co-Presenter of BBC Radio 4’s FutureProofing, Leo Johnson.